Although Utah voters this month approved the medical cannabis initiative by about 52 percent-48 percent, lawmakers are expected to meet in a December special session to overwrite the measure with a marijuana proposal acceptable to Prop 2 opponents, including the church. In a Thursday letter, an attorney representing a faction of the medical cannabis community argued that the church’s fingerprints are all over the push. “Although initiative statutes may be amended or repealed by the Legislature, the almost immediate extreme undermining of numerous provisions of Proposition 2 at the behest of The Church of Jesus Christ is anti-democratic and contemptuous of the ... recognition in the Utah Constitution that the people are to have the power to enact legislative changes,” attorney Rocky Anderson, former Salt Lake City mayor, wrote. According to the letter, Anderson’s clients could seek legal redress by contesting the proposed special session, collusion between the church and officials over changes to Prop 2 and larger patterns of church dominance in Utah government. Anderson is representing TRUCE and the Epilepsy Association of Utah, groups that have been critical of the so-called compromise bill hammered out by certain medical-cannabis advocates, Prop 2 opponents and state leaders as a replacement for Prop 2. TRUCE president, Christine Stenquist, said in a phone interview Thursday that the bill sanctioned by the church and approved by legislative leaders is rife with poison pills. Stenquist, a medical-cannabis patient, said she left the church months ago in anticipation of this year’s clash over legalizing the plant-based treatment in Utah. While people of faith are entitled to weigh in on policy debates, the LDS Church wields an extreme level of control in Utah government, she said. "There are people in this state whose voices are constantly squashed because of the dominance of this faith, and it's time for someone to stand up and say something," she said. Gov. Gary Herbert on Thursday said all are invited to express an opinion on Utah’s developing medical-cannabis program. But you could say the same thing about the influence of the Catholic Church in Massachusetts, he added. A proponent of the compromise legislation, Connor Boyack, of the libertarian Libertas Institute, declined comment Thursday. 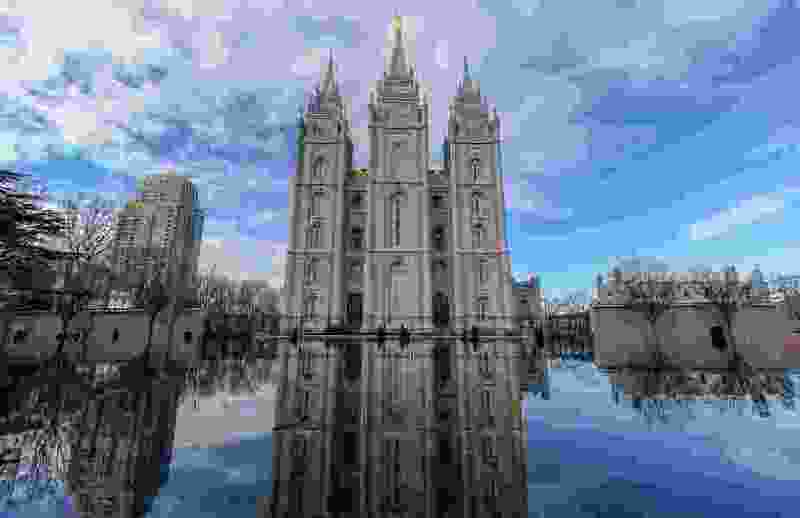 In a phone interview, Anderson said the church’s grip on Utah government is nothing new; nearly 90 percent of Legislators are members of the faith, even though just about 60 percent of residents hold membership, The Salt Lake Tribune reported in 2016. But it’s different to override the will of voters as expressed through a ballot initiative, Anderson contended. “This time, they’ve gone way too far in orchestrating the radical undermining of an initiative the majority of voters supported,” he said. This isn’t the first time Anderson has gone up against a powerful institution. He successfully represented Brewvies Cinema Pub in a First Amendment lawsuit over a state law that barred the theater from serving alcohol while showing the R-rated superhero movie “Deadpool.” He took on the National Security Agency in a case alleging the government spied on citizens during the 2002 Winter Olympics in Salt Lake City. He challenged the Salt Lake City Police Department after an officer shot a dog in the Sugar House neighborhood and faced off with Sean Hannity in a debate over Anderson’s calls to impeach President George W. Bush. In the current dispute, the legislation that lawmakers are expected to consider in a special session would set up a completely different method of medical-cannabis distribution than Prop 2. While the initiative would allow for about 40 private dispensaries, the drafted bill calls for five privately licensed “cannabis pharmacies” and a state-run central fill pharmacy. Stenquist argues that involving the state directly in dispensing the federally illegal substance would be asking for trouble from the U.S. government and would likely make Utah’s program unworkable. Anderson’s letter — delivered to Herbert, several state legislators and church lobbyist Marty Stephens, a former Utah House speaker — warns recipients not to destroy records that might be relevant in any legal action. In addition to Herbert, the letter was sent to outgoing House Speaker Greg Hughes; incoming Senate President Stuart Adams; incoming House Speaker Brad Wilson, Sen. Jerry Stevenson; outgoing Rep. LaVar Christensen; former Sen. Michael Waddoups; Utah Tax Commission Chairman John Valentine; Boyack of the Libertas Institute; D.J. Schanz with the Utah Patients Coalition; Utah Medical Association CEO Michelle McComber; Director of the Office of Legislative Research and General Counsel John Cannon — and the LDS Church’s chief lobbyist, Stephens, and church spokesman Michael Purdy. Tribune reporters Scott D. Pierce and Benjamin Wood contributed to this report.